seed that was planted with good intentions as far back as 1895 has grown into an impressive tree today. It is one of the biggest assets this country possesses and needs grooming. No other Buddhist country could claim what Sri Lanka offers in this regard. 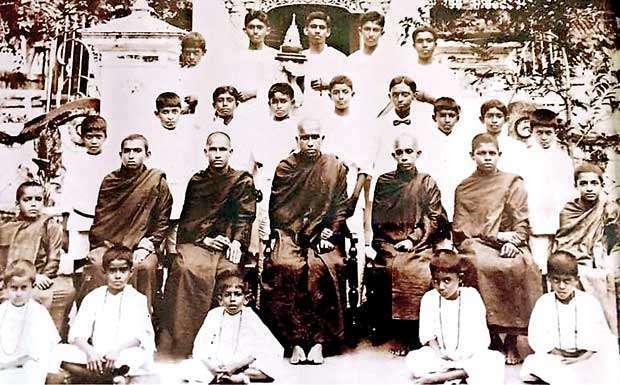 The system of temple based formal Dhamma education for school-going children started with Vijayananda Dhamma School, established at Weliwatta, Galle on August 03, 1895. 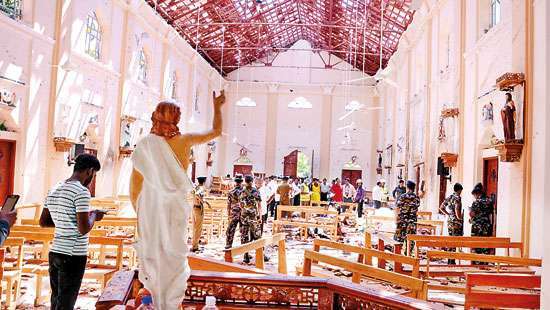 It was a felt need at the time because Buddhist children were left in the lurch even in general education by both the colonial Government and the Christian missionaries. Since then we saw a steady growth in the number of temple based Dhamma schools during the 20th century. According to the Performance Report (2016) of the Department of Buddhist Affairs there are 10,712 Dhamma Schools registered with the Department, with 2,195,956 students and 124,817 volunteer teachers, a ratio of one teacher for eighteen students. I find that the student teacher ratio is the same as in Government Schools. The table below gives details of the student population according to grade with aggregation at Kindergarten (Grades 1 and 2) Primary (Grades 3-5), Junior Secondary (Grades 6-9) and Senior Secondary (Grades 10 and 11) levels according to published data provided by the Statistics Division of the Ministry of Education and the Performance Report of the Department of Buddhist Affairs for the year 2016. The strength of Dhamma School education is very evident from this data. 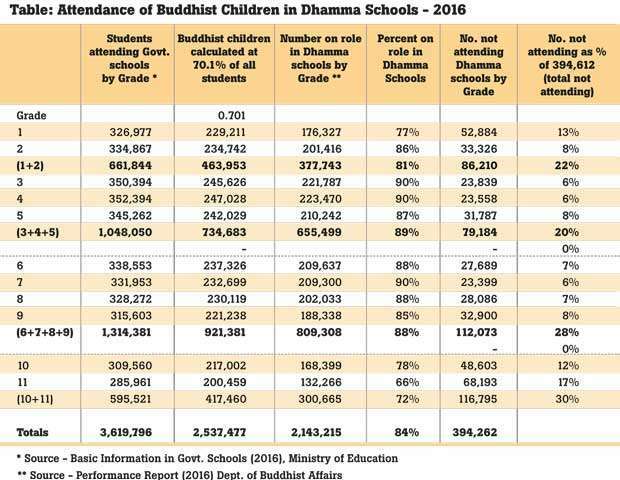 As is evident from the Table above, it is very heartening that 84% of Buddhist children in the Kindergarten, Primary, Junior Secondary and Senior Secondary levels (i.e. grades 1-11) are enrolled in Dhamma schools. A micro-study in a few Dhamma schools indicated, however, that there is a disparity between the number enrolled and the number attending, which is far less. Moreover, when we take absolute figures the number of children in grades 1-11 not even enrolled in Dhamma Schools is nearly 400,000. The number not enrolled has been analysed further in the Table above for any remedial action. Accordingly, the highest percent not even enrolled were from Senior Secondary grade (30%) followed by Junior Secondary (28%). The highest enrolment was in the primary level, viz., grades 3, 4 and 5. Religious education, unlike when the writer was attending school, is compulsory in all government schools. Besides, some major religions have their own religious schools. However, when one appraises what is happening today in the society outside one gets the feeling that something, somewhere is wrong. Many may be more knowledgeable of their religion but could we state with all sincerity that we have achieved the objectives of religious education. 5.Produce a generation of students who are kindled by devotion to the Buddha-Dhamma, inspired by what is indigenous, motivated by national pride, and enlivened by a love for one’s language. The bane of this pleasant land of ours is not the dearth of good people, nor the dearth of good ideas and proposals. These are in plenty. It has been a good practice to appoint special committees and Presidential Commissions to study specific issues or problems and make recommendations. However, when recommendations are made after spending much time, energy and resources they are usually pigeonholed for all times. No one cares even to read them, far from implementation. With changes in government, or even ministerial portfolios and officers, these reports are buried forever. In 2001, a Presidential Commission was appointed of members of the Sangha and lay persons to make recommendations for the uplift of the Buddha Sasana. I too was a lay member of that Commission. 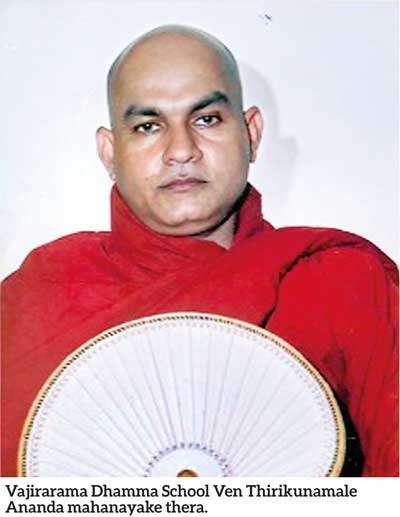 Item (i) of the terms of reference was ‘to make appropriate recommendations for a positive change of direction after comprehending the current situation relating to Buddhist bhikkhus and lay society, which is often stated to be in the decline’. A comprehensive study was made and its recommendations are at Chapter 8 of the Commission report. Among the many recommendations made were those pertaining to Dhamma education in ordinary schools and Temple based Dhamma schools. A translation of three relevant paragraphs is given below. “8.14 We recommend that there should be very close relationship between the teaching of Buddha Dhamma in daily schools and Dhamma schools. The Commission is of the view that a suitable solution could be found if this issue is addressed not from the point of view of institutions but from that of students. We recommend very broadly that a common syllabus should be developed giving priority to imparting Dhamma knowledge in the daily schools and on developing Buddhist practices and wholesome life-skills for leading a moral life in the Dhamma schools (Emphasis mine). If this recommendation is implemented the Buddhist children in daily schools will attend Dhamma schools without fail. "Religious education, unlike when the writer was attending school, is compulsory in all government schools. Besides, some major religions have their own religious schools"
Moreover, it will be possible for daily schools to continue having two periods for religious education without increasing the number of periods as is recommended in paragraph 8.12 above. Another positive outcome would be to improve the subject knowledge received from text books used in daily schools. When preparing the text books for respective grades it will be possible to do it in an integrated manner. Children will also get an opportunity to enhance their Dhamma knowledge and be of service to others by activities like receiving basic knowledge of the Pali language, by reading additional books relevant to Buddha Dhamma and practicing meditation. “8.15 As a corollary to the recommendation made above, we recommend that there should be a revision of the scheme of examinations for Dhamma schools. 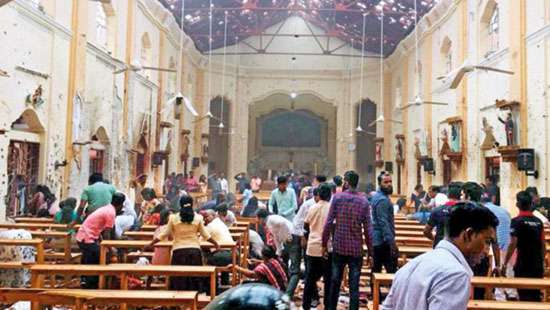 Holding of examinations for all grades above grade six annually by the Colombo YMBA and issuance of certificates has resulted in students developing a sort of ‘examination phobia’. Compulsory schooling ends at the age of 14. Taking this factor also into consideration we recommend that it will suffice if the Colombo YMBA holds only the examination for the 9th grade of Dhamma schools. Like at present the Dhamma School Final Examination and the Dharmacarya examination should continue to be held by the Commissioner General of Examinations. 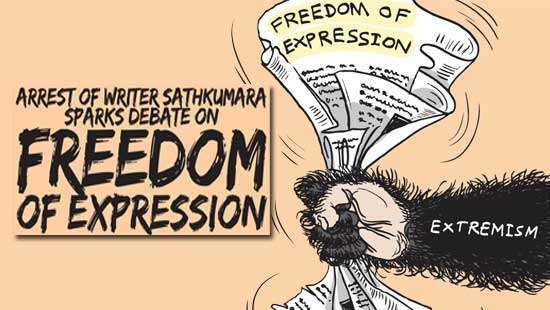 Sixteen years have lapsed since the recommendations of the Buddha Sasana Presidential Commission. 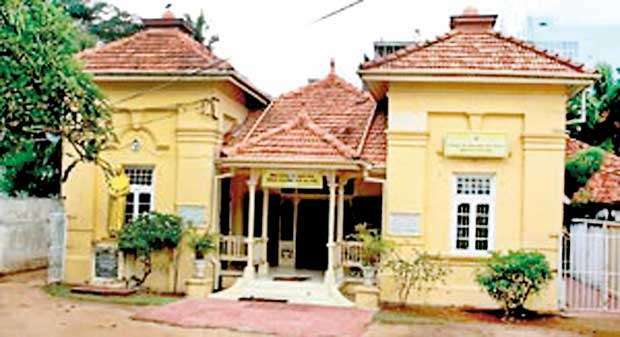 With regard to grade examinations of Dhamma Schools the Department of Buddhist Affairs and the Sasanarakshaka Mandalaya have replaced the Colombo YMBA in conducting the examinations. According to the Performance Report (2016) of the Commissioner General of Buddhist Affairs, Rs. 17.5 million has been spent on holding examinations that year. For printing of Dhamma School text books the expenditure has been Rs. 150 million. These are only direct costs. A similar amount or more would be the expenditure by the Ministry of Education. Dhamma education has become a mere subject that is assessed by a system of examinations at great expense both in time and money. The time for change has come and the responsibility to bring about that change is not that of ministries or departments, but the members of the Maha Sangha who invariably are Principals or Advisors of Dhamma Schools. The Ministry and the Department should be facilitators of that process. One area they could concentrate on and find resources is to establish in every district in collaboration with all other stakeholders a residential training facility for volunteer teachers of Dhamma schools. A ten-day training module should be developed to enhance training skills according to age of students, for building up awareness of the role of Dhamma School teachers in society and for providing a good grounding on Buddhist practices and wholesome life-skills for leading a moral life, a challenge faced by modern day school-going children. The management of the Siri Vajirararamaya Dhamma School, celebrating its centenary year under the stewardship of the Most Venerable Titikunamale Ananda .Mahanayaka Thera has pioneered measures to orient the Dhamma School in the required direction. The structure of the Dhamma School was examined and a new constitution was adopted with a clear vision and a mission based on the five principles enunciated by the Most Ven. Madihe Pannasiha Mahanayaka Thera referred to earlier. Programmes are being conducted for teachers, parents, and students separately to build awareness of their respective roles. 26 teachers were provided a three day befriending programme to build competency in understanding the problems faced by children. Teachers in the primary and the junior secondary and senior secondary sections were provided training separately on the psychiatric needs of a growing child and the use and abuse of modern technology. A counselling / befriending unit was set up since with free access to students and parents. We believe that Dhamma education should be built on a firm foundation and this should be the focus of early education. Accordingly, the first two grades of the primary section are taken as a separate unit. A syllabus was developed after identifying the skills a Buddhist child in the 5-7 age group should be having through guided practice e.g. correct way of salutation to the Buddha, parents, elders etc., correct way of addressing elders, importance of sharing with others and good neighbourliness, undertaking small tasks with responsibility, use of Buddhist terms, good health practices, ability to identify good and bad actions. There are no tests, written or otherwise, but the development of the child to meet basic standards of competence with individual attention will be the responsibility of the teacher in charge. Teachers are expected to build correct rapport with the children in their respective classes and monitor progress after identifying each child’s strengths. Another important event was the introduction of the Sati Pasala, which has been translated into English by its initiators as Mindful School, into the morning Buddha vandana session of the Dhamma School. Several training sessions were held at the Siri Vajirarama temple of which one was conducted by Most Venerable Uda Eriyagama Dhammajiva Maha Thero himself, the initiator of the Sati Pasala programme. In the Foreword to the book ‘Mindful School’ introducing this concept, the Maha Thera has made the following remark. “We wish to introduce Mindfulness as a wholesome life skill that will benefit students in the classroom, when interacting with teachers and other school authorities and with their families, neighbours and friends.” We should not confuse mindfulness in this training exercise with developing mindfulness as a factor of enlightenment. But as the Most Venerable Thera has pointed out it is a wholesome life skill that could be further developed and will always stand in good stead. Life as a child is undoubtedly the best part of a person’s life. Dhamma education is to relieve stress. If on the other hand it makes a child’s life more stressful with examinations and competitions, I feel that we have lost our mark. We should aim at making the life of a child richer through Dhamma education. It should be a via media between formal and nonformal education, with a bias towards nonformality.